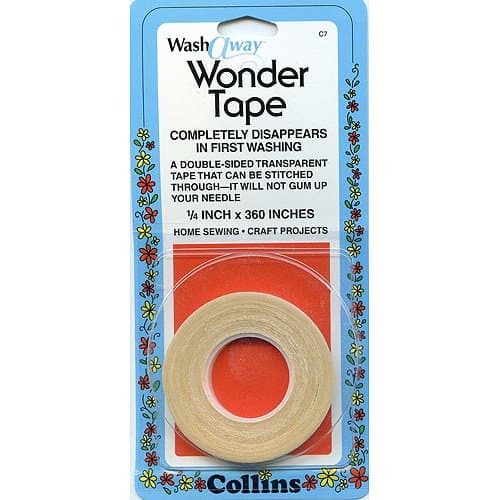 Collins Wash-Away Wonder Tape 1/4″ is a double-sided transparent tape that can be stitched through and will not gum up your needle. It completely disappears in the first washing. Great for home sewing and craft projects. One of my favorite uses is to secure quilt binding when machine stitching.